← My First Tattoo! Africa! 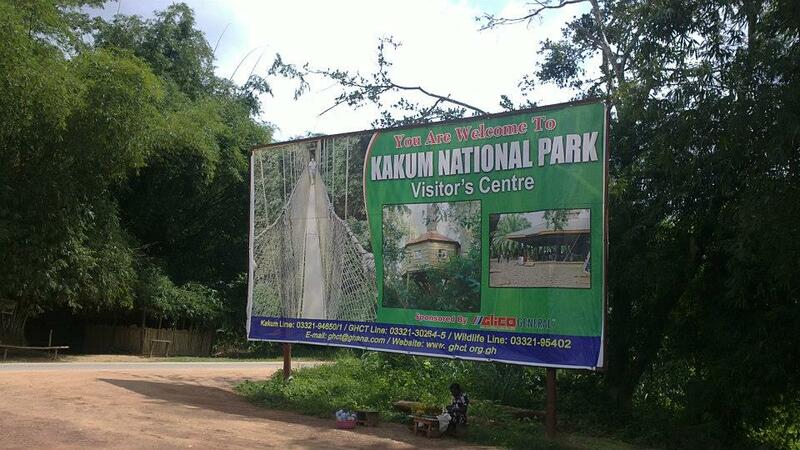 On my travels around Ghana, i eventually reached Kakum National Park in Cape Coast. 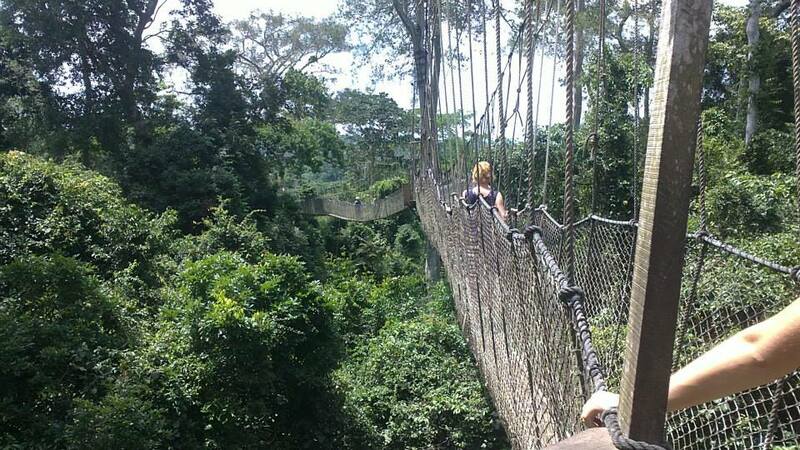 Kakum National Park is the only park in Africa with canopy walk. I have to say it was a little scary and very high but such a great experience. I think my sister was more scared than anyone there as she was holding on for her life haha.. 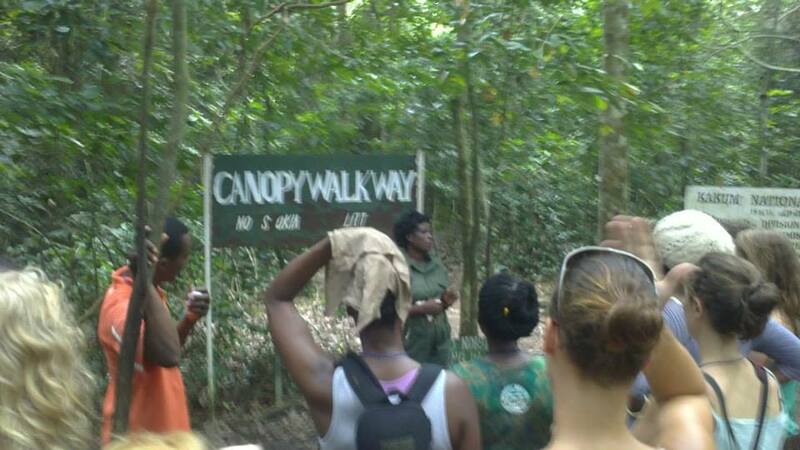 The start of the walk up to the Canopy bridges. When you get to the top, you are then told to cross individually or in groups of 2. You are also told not to shake the bridges or scare anyone lol of course i then made the bridge shake a little just to scare my sister haha. as if she wasnt scared enough :p The bridges connect to 7 tree tops. At the end of each bridge there is ledges for you to stand on to get from one bridge to the other, this was the part i found scary! as the ledges felt like the were moving away from the tree haha. 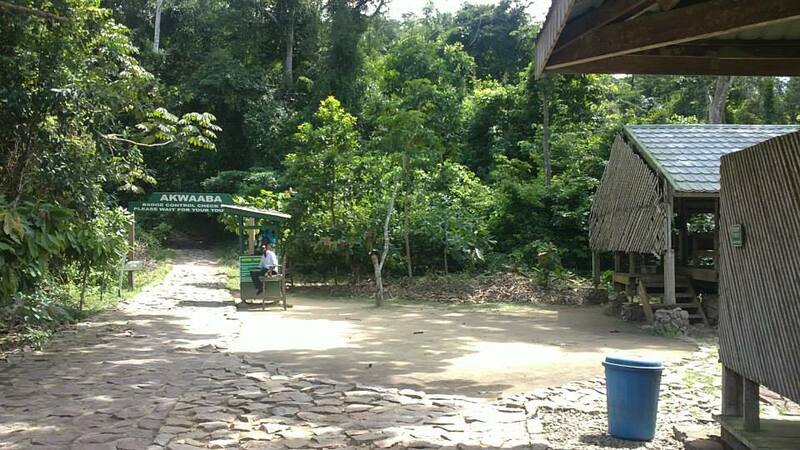 The stop point where the guide explains what we should expect when we get to the top. We were told to watch out for snakes hanging from the trees, which of course made me a little more nervous!! lol But luckily we didnt come across any snakes, the only thing we came across was a mosquito that bit my sister on the hand and she freaked out! hahaha. 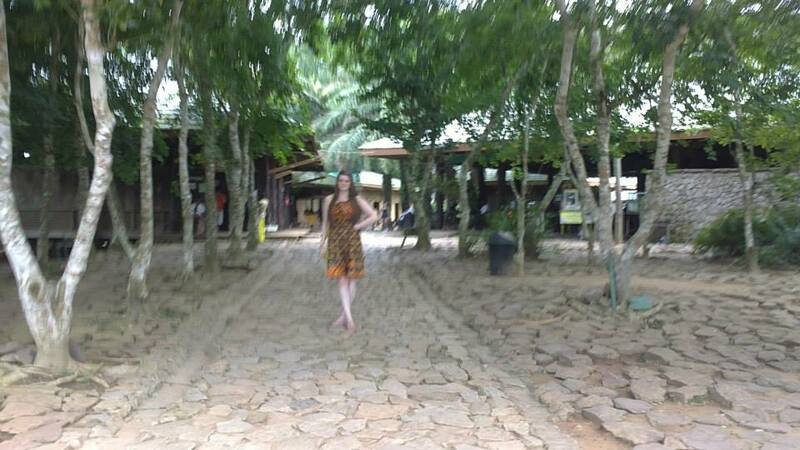 If you are ever in Ghana or plan to go to Ghana, please check this place out and enjoy! 🙂 thanks for reading ! 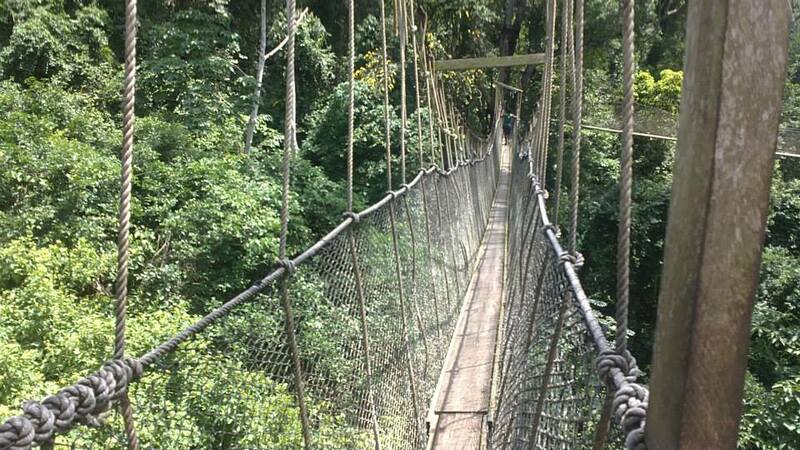 This entry was posted in Africa, Ghana and tagged Africa, Canopy Walk, Cape Coast, Ghana, Kakum, Kakum National Park, Rainforest, Wildlife. Bookmark the permalink. 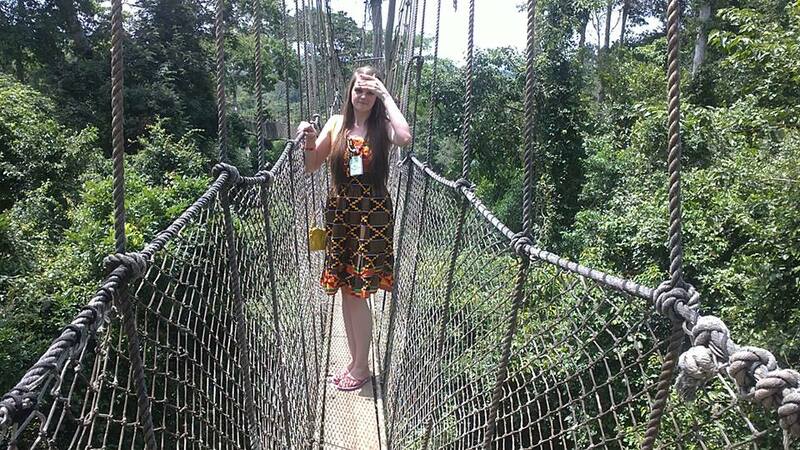 Just to say that in Africa, the Obudu Mountain Resort in Nigeria also has a canopy walkway. The walkway is made of steel. Also Obudu has one of the longest cable cars in the world (the longest in Africa). If you visit in the right season you will definitely witness vintage nature, raw and amazing! 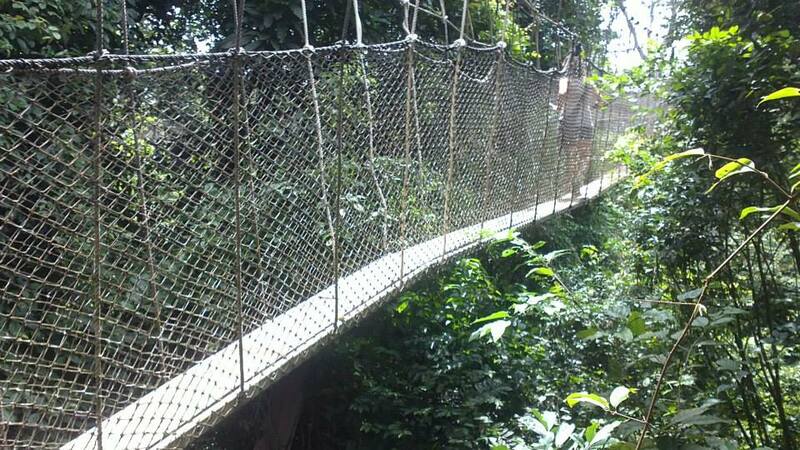 The ‘snake road’ drive into the resort located at the top of Obudu Mountain is an experience of its own. So many springs and waterfalls. 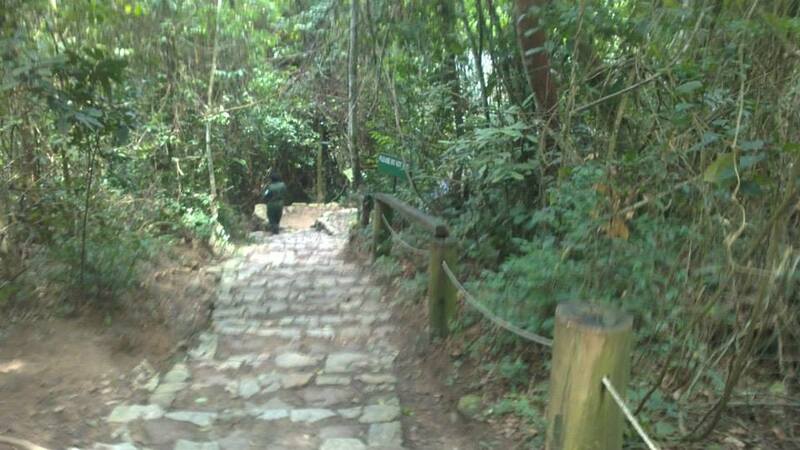 Springs are the water source for the Protea managed Hotel in Obudu Resort. The cable car ride affords breathtaking views. With the aid of binoculars you can spot uninterrupted wildlife in the valleys. Also Clouds kiss the top of the mountain! You could have the experience of literally walking through them! Kakum is awesome. I’d say a trip to Obudu is too!